The Oceanic Yachts' fleet offers performance, comfort and safety. 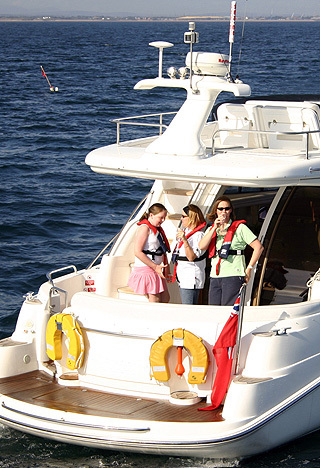 Whether a luxurious, high-performance charter in our Sealine F37 - or soon to arrive Sealine T50 - or a truly exhilarating sea school course in the renowned Ribeye 580, our vessels provide everything for an unforgettable experience. Coded by the RYA / MCA in accordance with MGN 280 to category 2, is licensed to carry 8 passengers and 2 crew. 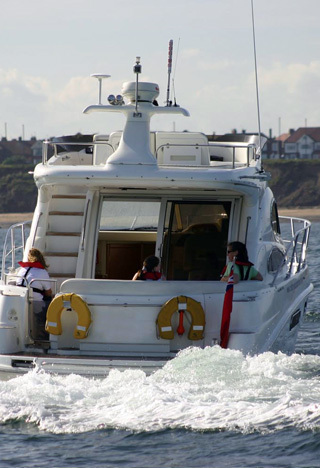 Equipped with the very latest in navigation and safety equipment, luxurious cruising up to 60 miles from a safe haven is possible in both day and night conditions. Available for charter and Powerboat Level 2 training. Click here to our Sealine F37 gallery. Offering safe, stable, high performance, the Ribeye 580 is a superb vessel for students undertaking Powerboat Level 2 training. Click here to our Ribeye 580 gallery. Arriving in May 2010, the Sealine T50 is an exciting addition to Oceanic Yacht's fleet. This luxurious yacht is coded by the RYA / MCA in accordance with MGN 280 to category 2 and is licensed to carry 12 passengers and 2 crew. 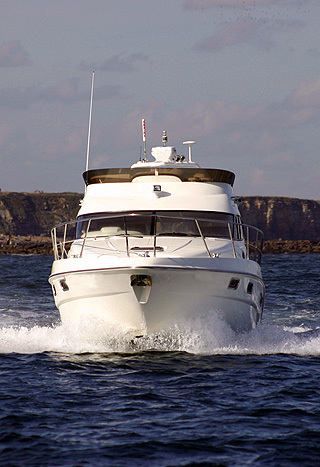 With a cruising range of of 60 miles from safe haven, our T50 will provide a truly luxurious charter experience. Available for Specialist Advanced Training, subject to applicants qualifications and experience. Click here to our Sealine T50 gallery.